Convert your JK from a back country blazer to a family hauler in just minutes. 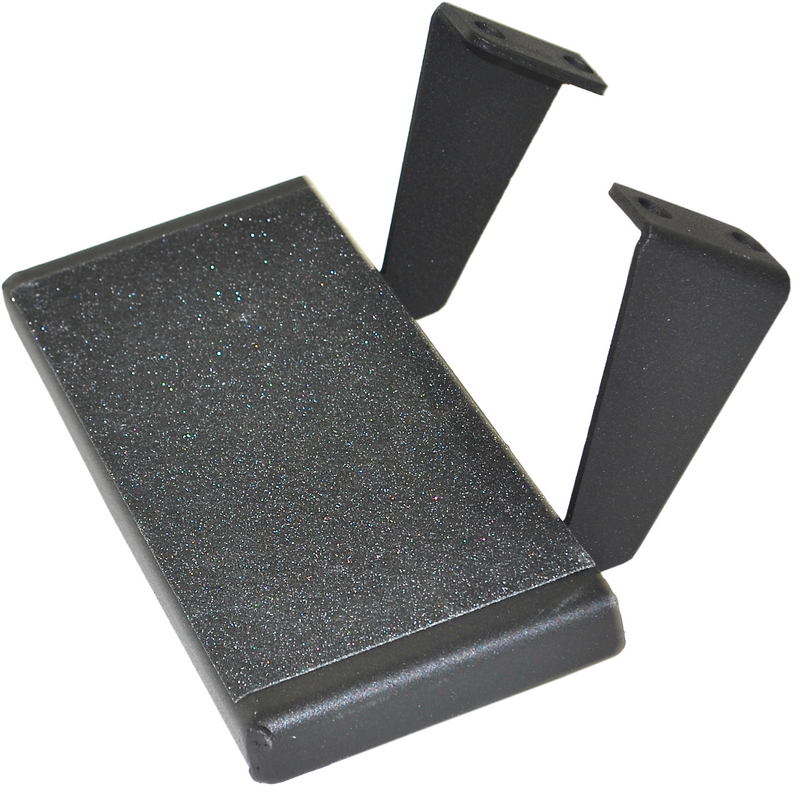 These patented detachable steps bolt to our Rock Rails easily and securely. Each step has a large non-slip surface and makes climbing in and out of your JK easy for everyone. Fully powder coated black to match your Off Camber Fabrications Rock Rails these steps will keep looking great for years. 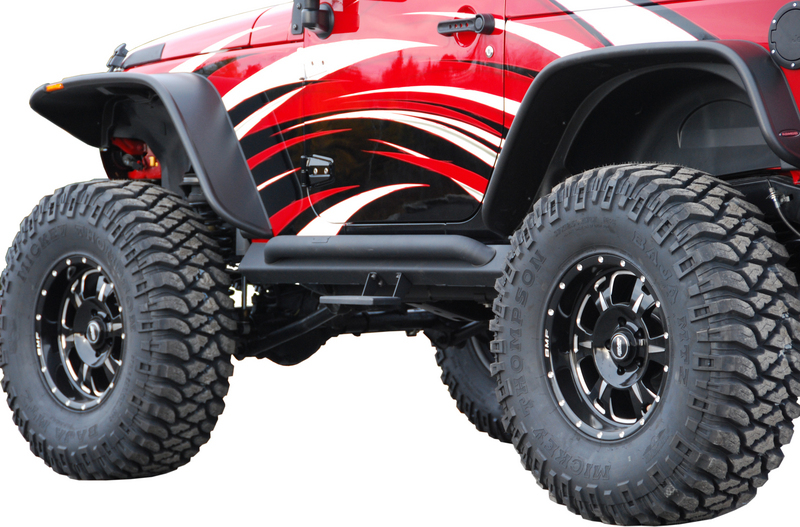 Fits to Off Camber Fabrications Rock Rails (4 Door - PN#130714; 2 Door - PN#130880). 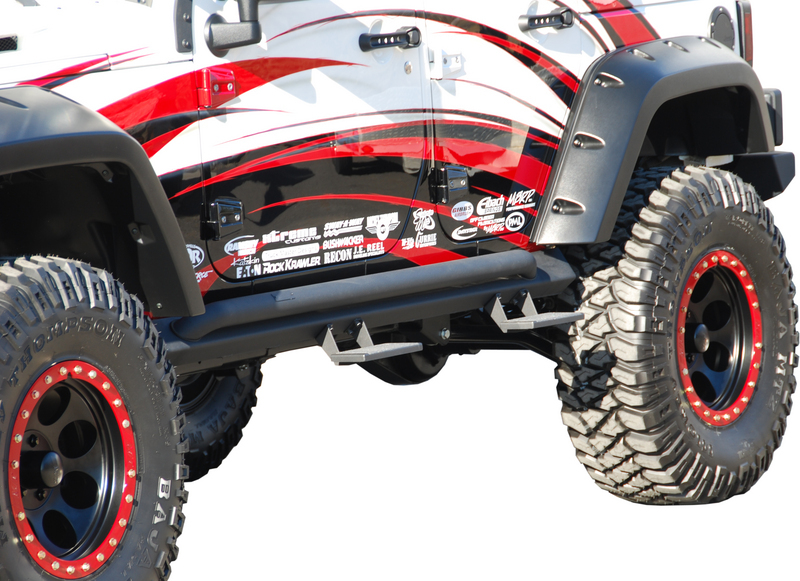 Get your MBRP Jeep catalog by emailing info@mbrp.com, calling (888) 636-7223 toll free, or going to our web site at www.mbrp.com.